How do you make a flower bucket that is as sustainable as possible? 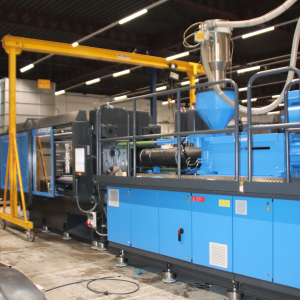 TN plastics in Ter Aar, a customer of Stork IMM, specializes in the manufacturing of plastic injection moulded products. 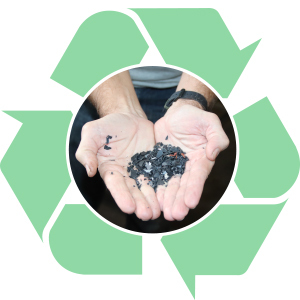 At TN Plastics there is a strong focus on sustainability by making as much use as possible of recycled material and keeping energy consumption as low as possible during the production process. Thomas Nieuwenhoff founded this modern injection molding company in 2005, which has since grown into a mature company. 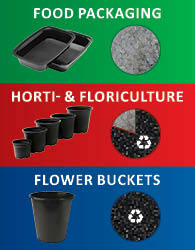 TN plastics has three production branches: food packaging, horticulture and floriculture products, and flower buckets. 100% Virgin (non-recycled) PP is used for food packaging. Almost 80% PP regranulate is used for horticulture and floriculture products. A further 100% PP regranulate is used for the production of flower buckets. 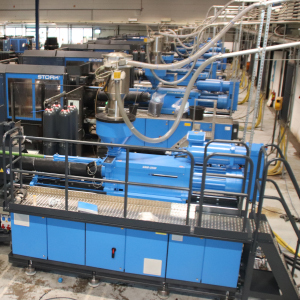 TN Plastics processes around 9,000 tons of PP per year, of which 6,500 tons is PP regranulate. 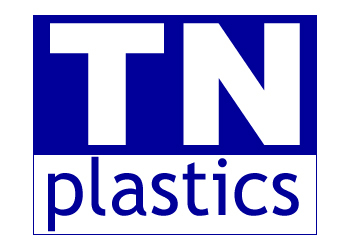 TN Plastics is therefore more than 70% circular in their use of raw materials for production. 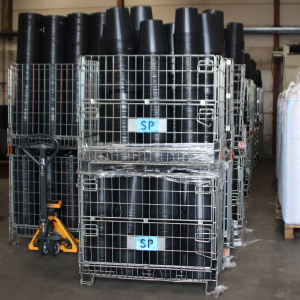 For the production branch of flower buckets, a joint venture has been established together with Dillewijn: Synpro Molding BV, which is facilitated by TN Plastics. For 362 days a year, ten Stork machines run 24 hours a day, with a cycle time of +/- 8 seconds. As a result, around 35 million flower buckets are produced annually. At the beginning of this year, a new Stork Plus-line 4400-3550 was installed for the production of flower buckets. Thanks to the electric clamp drive, (instead of hydraulic), which represents a major upgrade for the machinery. Looking at the energy consumption of the entire unit (including take out automation), a saving of more than 30% has been achieved. TN Plastics will also use special meters to measure the power consumption per machine so that they can monitor how much power each machine consumes. With a view to sustainable business operations, Stork IMM wants to work with TN Plastics to see which process conditions can be adjusted to further reduce power consumption. In addition, TN is working on a process to fill the roof with 5,000 solar panels and thereby generate around 1.5 million kWh of electricity. It's all about awareness; how to make a flower bucket that is as sustainable as possible. Because a flower bucket can only be used once, TN tries to collect as many buckets as possible after use. Large cages have been placed at the distribution centers of a large supermarket chain in which the buckets can be neatly and cleanly collected. When the cages are full, TN Plastics retrieves them, grinding the buckets to regrind, and then mixes it with PP regranulate. This homogeneous mixture can directly enter the injection moulding machine. To process this mixture, specific requirements are set for the screw and screw drive. To maintain the quality of the flower buckets and to be able to keep the process full for days, a maximum of 20% regrind is added. Of the flower buckets made by TN Plastics, approximately 15% is currently being returned and the expectation for this year is that this percentage will rise to 20%. In summery, a great organization that thinks realistic sustainable progress is important. Stork IMM and TN Plastics believe that sustainable action leads to sustainable business. Customers benefit from being supplied with the right products and information to be able to operate sustainably and society benefits from taking care of the environment, which will ultimately contribute to better health and well-being for everyone.